When you’re not sure what to make, and all you have to create with is whatever you have on hand, think quiche. 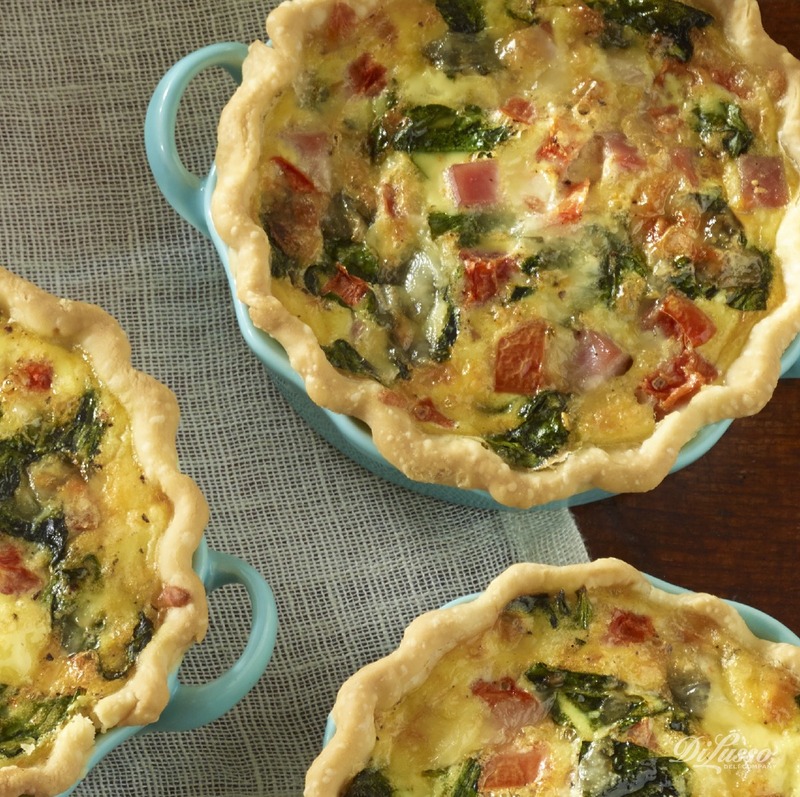 Delicious and satisfying, quiche is perfect for breakfast, brunch, lunch or dinner. And the possibilities are endless: to the basic custard filling, add whatever meats, cheeses and veggies you want. And talk about easy! Here’s how to make a wonderful Ham-Mushroom-Baby Swiss Quiche. Just follow these simple steps. Bake a 9-inch pie crust (homemade or store bought). Place about 1 cup of DI LUSSO® Baby Swiss, chopped and 1 cup DI LUSSO® Black Forest Ham, diced, on the bottom of the crust. Add sautéed mushrooms and onion (1 – 2 cups) atop cheese. Top that mixture with an additional 1 cup of cheese. Make the custard by whisking together 3 eggs, 1 cup milk, 1/2 cup half and half and 1 teaspoon salt until frothy. Pour into crust. Let cool at least 20 minutes before slicing. Can be served hot, cold or at room temperature. Refrigerate leftovers.